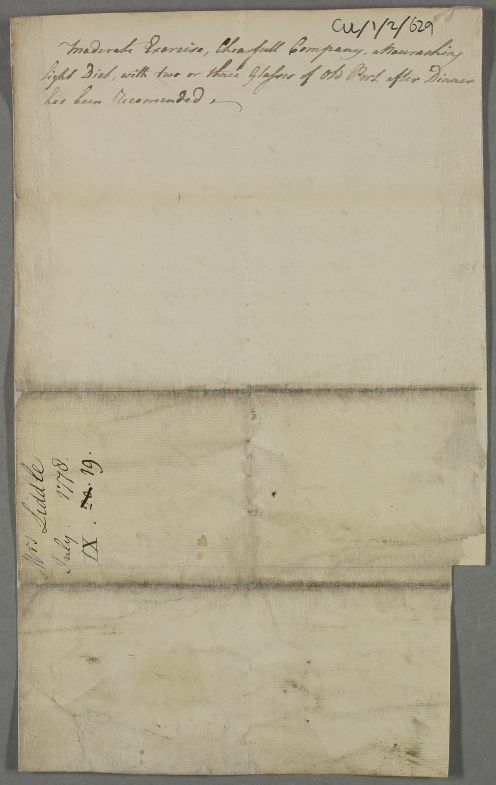 Case of Mrs Liddle, possibly sent as an enclosure but no cover-letter traced. Unsigned and no precise date recorded, but probably from mid-July 1778 as it is answered by Cullen on the 20th. 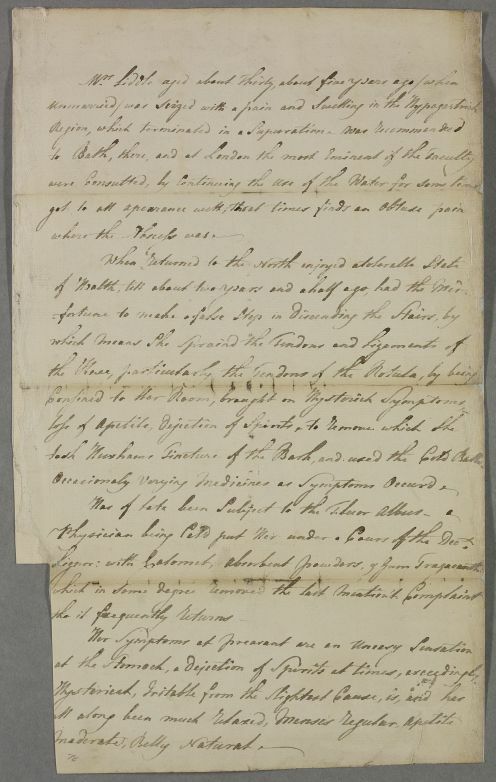 Summary Case of Mrs Liddle, possibly sent as an enclosure but no cover-letter traced. Unsigned and no precise date recorded, but probably from mid-July 1778 as it is answered by Cullen on the 20th. Case of Mrs Liddle, who is hysteric and irritable after a fall on some stairs. took Huxhams Tincture of the Bark, and used the Cold Baths. Occasionaly varying Medicines as Symptoms Occurr'd.